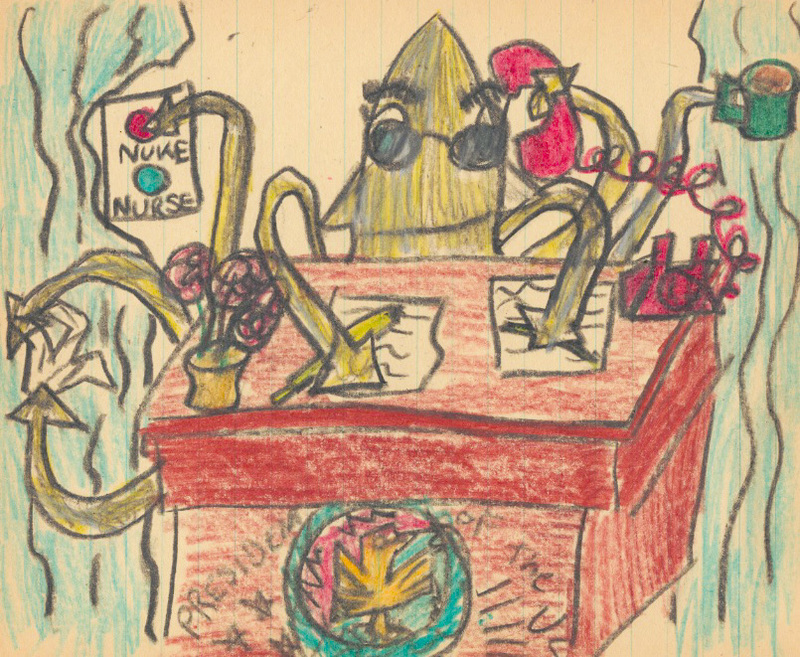 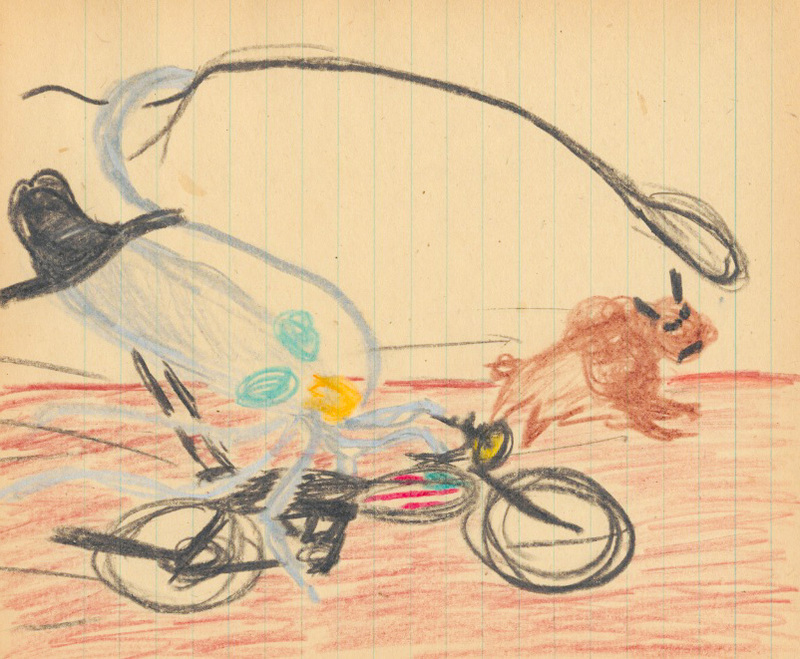 Poor Mojo's Classic Squid: Squid "Visions of the Giant Squid: Acquisitions of the Giant Squid Presidential Library; Schoolchildren's Drawings of the President (part 1)"
"President Squid does lots of stuff to make the country go." 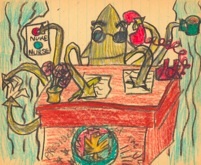 "The President talks about taxes, and why he hurt the new Pope by dropping nickles on him. 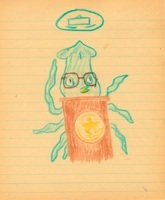 President Squid is awesome!" 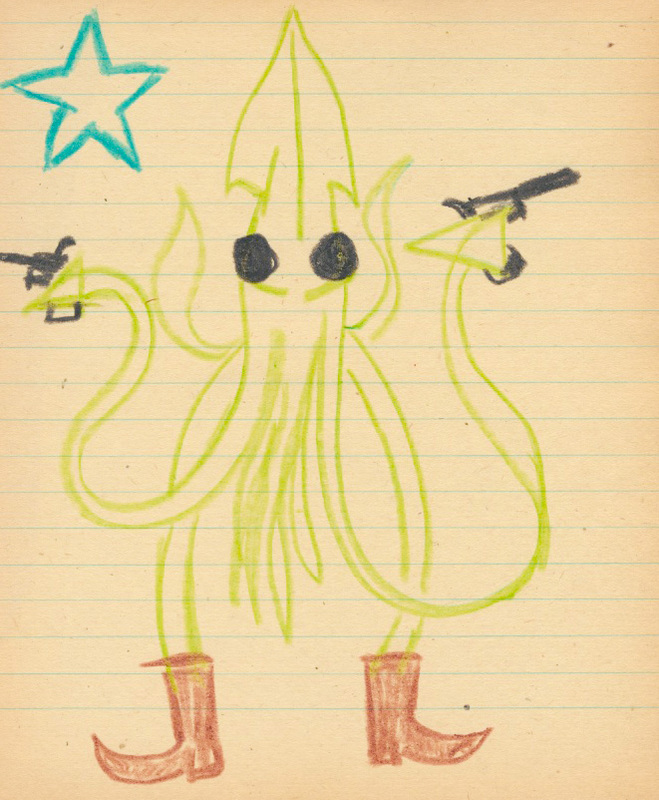 "The Second Amendment is the most important. 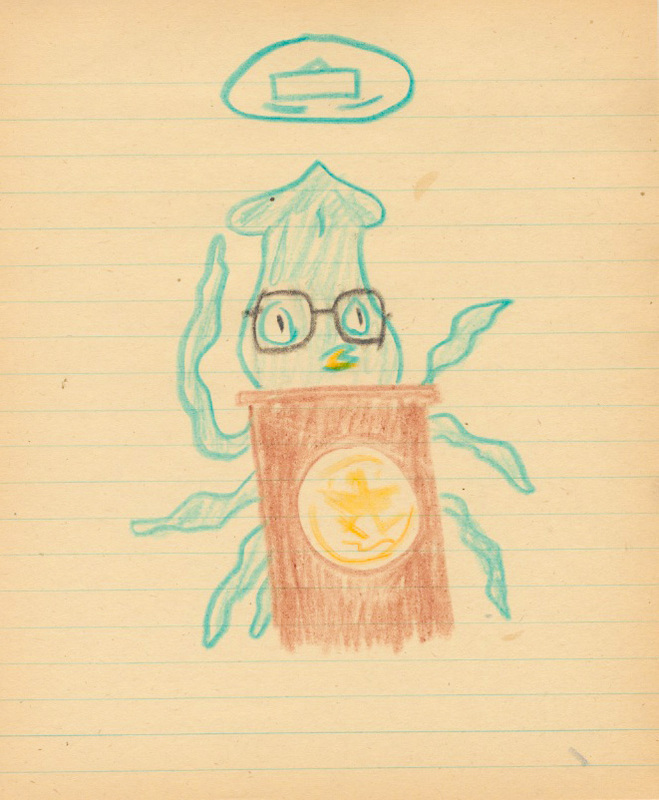 Does President Squid play Halo-2?" 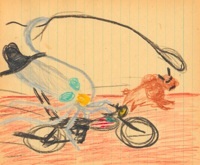 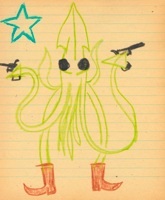 "President Squid got a Harley chopper, and then he rode back to Cowboy Times and caught the last buffalo and ate him!"